‘Host Computer’ having at least 2 NICs (Network Interface Card) or a NIC having more 2 ethernet ports. With one NIC (Network Interface Card) you should connect the internet cable. And for other NIC you should connect with your game machine. 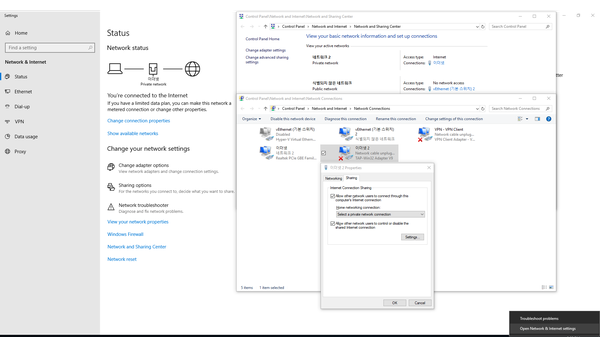 At ‘Host Computer’, moves to ‘Control Panel -> Network and Internet -> Network and Sharing Center -> Change adapter settings’ menu. Finds the network adapter which connects with the internet cable. Please make sure that the lan cable is connected with your ISP. At that network adapter, clicks the right mouse button and opens ‘Properties’ window. At ‘Sharing’ tab, please make sure that “Allow other network users to connect through this computer’s Internet Connection” is turned off. Clicks “OK” button after changing it. Now it’s a turn for “TAP-Win32 Adapter V9” network adapter which is installed by Mudfish. Please follow step 3 and step 4 to turn off ‘Internet Connection Sharing’ for this adapter too. 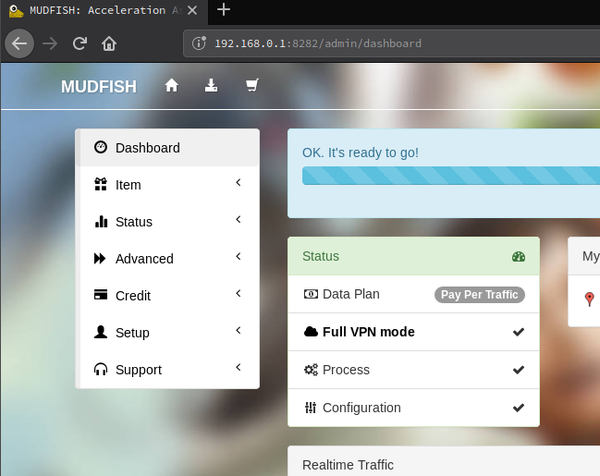 At ‘Host Computer’, sets Full VPN mode and runs Mudfish. If you want to use the game items only instead of Full VPN mode, it’s also fine. 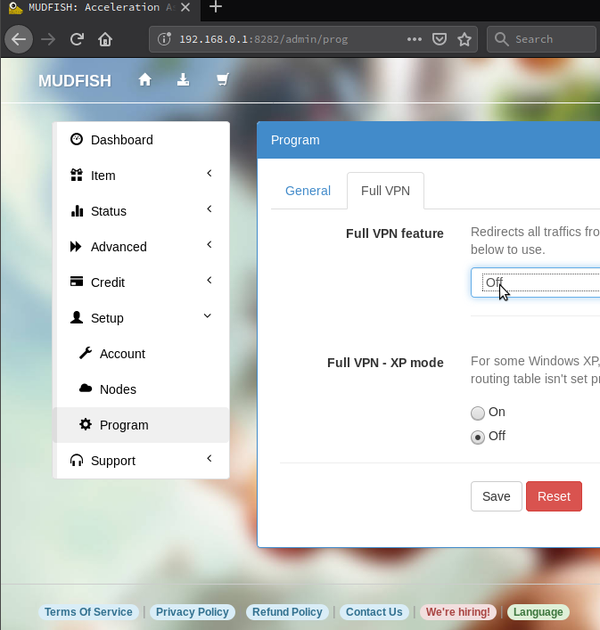 If you want to register your game at Mudfish, please check Unsupported Games section to send the packet dump file. Please make sure that the auto configuration is completed properly. At ‘TAP-Win32 Adapter V9’ network adapter, clicks the right mouse button and opens ‘Properties’ window. 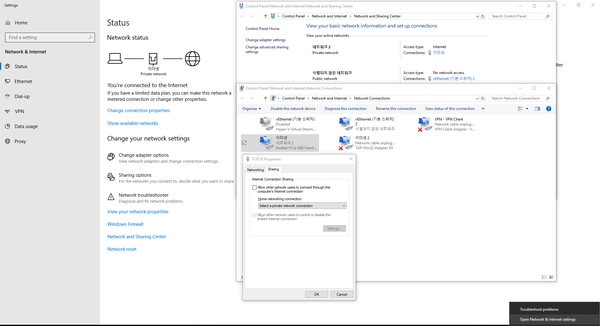 At ‘Sharing’ tab, please make sure that “Allow other network users to connect through this computer’s Internet Connection” is turned on. For this menu, you should specify a network name (adapter) which is connected with your game machine. Okay. It’s done. Please check your game machine is working fine with Mudfish.